Some online search tools let buyers compare the listing information of homes side by side. Now RealScout, the provider of a search platform that lets agents collaborate with clients, also lets them compare rooms side by side. RealScout lets agents track a client’s search history, recommend listings, curate search filters for them and set up listing alerts. The startup has differentiated itself partly by serving up a far-ranging set of search filters. Users can sort homes based on property lifestyle features, like “remodeled kitchens” and “backyards,” as well as their closeness to neighborhood amenities, such as Google Shuttle stops, surfing spots or Whole Foods. It’s part of a pack of companies that are pioneering neighborhood-centric property search capability — technology that some observers say could tweak demand for neighborhoods if used at scale, for better or for worse. The new search feature lets users compare two or three homes side by side and room by room. 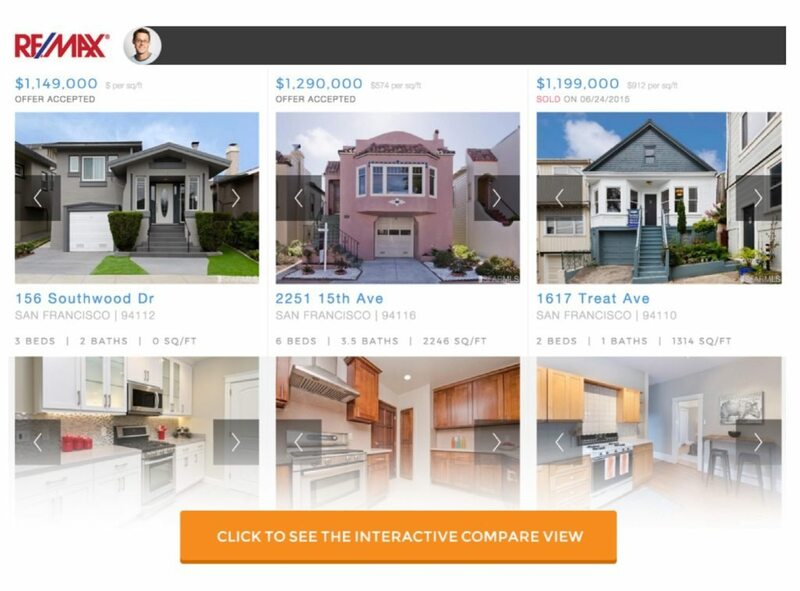 “Although agents love that RealScout shows them the search behavior and preferences of their clients, the real driver of business comes from providing the most helpful and user‐friendly experience for homebuyers to explore listings and make offers,” said RealScout CEO Andrew Flachner. Flachner said RealScout has helped agents sell over $950 million worth of homes.